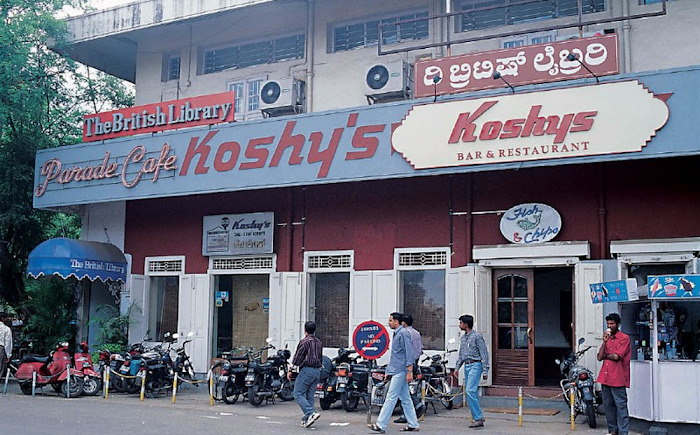 Growing up in India, there was one good library in my town that I had access to—run by the British Council. It was modest by western standards, and I had to take two buses just to get there. But I was lucky, because for every child like me, there were many more who didn’t have access to the same information that I did. Access to information changed my life, bringing me to the U.S. to study computer science and opening up huge possibilities for me that would not have been available without the education I had. When Google started 20 years ago, our mission was to organize the world’s information and make it universally accessible and useful. That seemed like an incredibly ambitious mission at the time—even considering that in 1998 the web consisted of just 25 million pages (roughly the equivalent of books in a small library). Fast forward to today, and now we index hundreds of billions of pages in our index—more information than all the libraries in the world could hold. We’ve grown to serve people all over the world, offering Search in more than 150 languages and over 190 countries. Through all of this, we’ve remained grounded in our mission. In fact, providing greater access to information is as core to our work today as it was when we first started. And while almost everything has changed about technology and the information available to us, the core principles of Search have stayed the same. First and foremost, we focus on the user. Whether you’re looking for recipes, studying for an exam, or finding information on where to vote, we’re focused on serving your information needs. We strive to give you the most relevant, highest quality information as quickly as possible. This was true when Google started with the Page Rank algorithm—the foundational technology to Search. And it’s just as true today. We see billions of queries every day, and 15 percent of queries are ones we’ve never seen before. Given this scale, the only way to provide Search effectively is through an algorithmic approach. This helps us not just solve all the queries we’ve seen yesterday, but also all the ones we can’t anticipate for tomorrow. Finally, we rigorously test every change we make. A key part of this testing is the rater guidelines which define our goals in search, and which are publicly available for anyone to see. Every change to Search is evaluated by experimentation and by raters using these guidelines. Last year alone, we ran more than 200,000 experiments that resulted in 2,400+ changes to search. Search will serve you better today than it did yesterday, and even better tomorrow. The shift from answers to journeys: To help you resume tasks where you left off and learn new interests and hobbies, we’re bringing new features to Search that help you with ongoing information needs. The shift from queries to providing a queryless way to get to information: We can surface relevant information related to your interests, even when you don’t have a specific query in mind. And the shift from text to a more visual way of finding information: We’re bringing more visual content to Search and completely redesigning Google Images to help you find information more easily. Underpinning each of these are our advancements in AI, improving our ability to understand language in ways that weren’t possible when Google first started. This is incredibly exciting, because over 20 years ago when I studied neural nets at school, they didn’t actually work very well...at all! But we’ve now reached the point where neural networks can help us take a major leap forward from understanding words to understanding concepts. Neural embeddings, an approach developed in the field of neural networks, allow us to transform words to fuzzier representations of the underlying concepts, and then match the concepts in the query with the concepts in the document. We call this technique neural matching. This can enable us to address queries like: “why does my TV look strange?” to surface the most relevant results for that question, even if the exact words aren’t contained in the page. (By the way, it turns out the reason is called the soap opera effect). Finding the right information about my TV is helpful in the moment. But AI can have much more profound effects. Whether it’s predicting areas that might be affected in a flood, or helping you identify the best job opportunities for you, AI can dramatically improve our ability to make information more accessible and useful. I’ve worked on Search at Google since the early days of its existence. One of the things that keeps me so inspired about Search all these years is our mission and how timeless it is. Providing greater access to information is fundamental to what we do, and there are always more ways we can help people access the information they need. That’s what pushes us forward to continue to make Search better for our users. And that’s why our work here is never done.